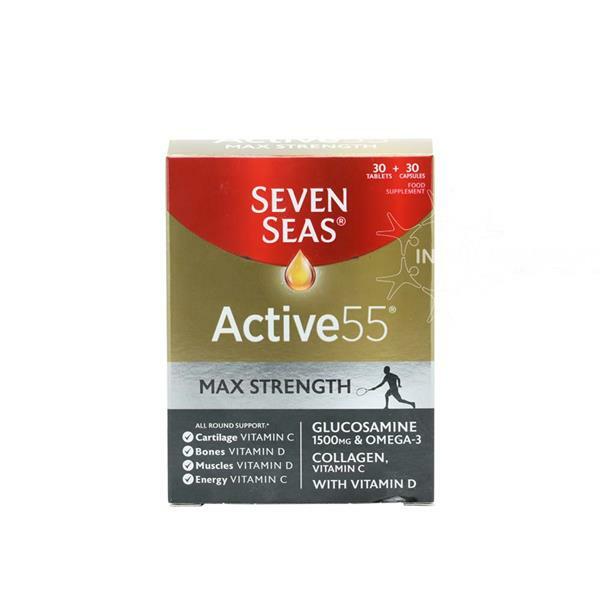 The Seven Seas Active55 Max Strength is a supplement that contains 30 tablets and 30 capsules. This all-round support helps with your cartilage, bones, muscles and energy. It includes Glucosamine 1500mg, Omgea-3, Collagen Vitamin C with Vitamin D. This supplement is for 1 tablet and 1 capsule per day.